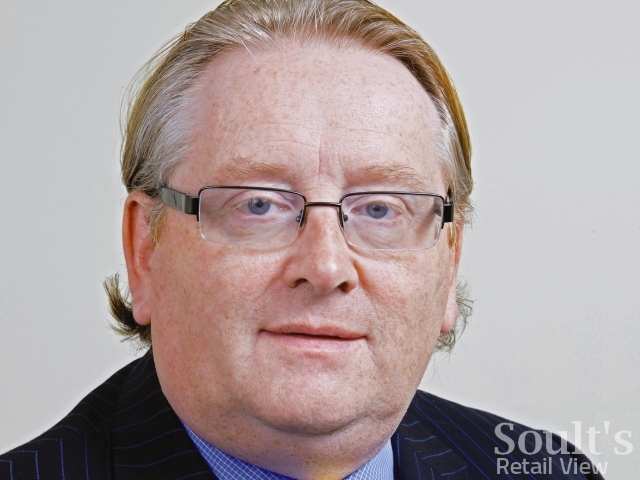 As boss of the collapsed Haldanes supermarket chain, which finally entered administration last week, it’s fair to say that Arthur Harris isn’t the most popular figure in retail right now – especially in Scotland, where the chain had many of its stores. While three Haldanes shops continue to trade for the moment, 20 others have closed, resulting in 600 job losses. In some now-closed locations, such as Kelso, staff had built up decades of service as their store had passed from one owner to another over the years. Those who are now out of work are, unsurprisingly, angry and devastated. As you’d expect, my previous blog posts about Haldanes have received their fair share of comments from ex-staff and customers. At the same time, I’ve also had many emails from employees and shoppers at both Haldanes and sister chain UGO. Some have expressed frustration, or anger; others have merely been seeking information, particularly with regard to the future of UGO – a separate company, unaffected by the present administration, but run by the same executive team, and part of the wider Haldane Retail Group. Last week, I met with Arthur Harris while he was visiting the North East, with the aim of getting answers to these and other questions. In short, I wanted to understand what had gone wrong with Haldanes; what was happening with the administration; and what it all meant for the future of UGO and the Group’s other businesses. While some of the Scottish tabloids have focused on Harris’ apparent penchant for fillet steaks and overseas holidays, I wasn’t interested in that – I just wanted to gain a real, in-depth insight into the past and future of his retail businesses. Through my questioning, and his – pretty candid – answers, I hope I’ve achieved that. Where possible, I’ve left Arthur Harris’ comments in his own words, but there are some quite significant parts of the interview – mostly relating to Haldanes’ action against the Co-op – that I’ve had to edit or omit in order to avoid getting myself into any legal difficulties. When I spoke to Harris last Monday (20 June), Haldanes had yet to formally appoint administrators, so I asked him to give me an update on the present situation. GS: Where are things as we stand? Obviously you filed the administration order on the 9th. AH: There’s a period of time between filing that and the administrator – P&A Partnership – taking his appointment. The notice runs out on Wednesday [22 June], and I have now got the papers for the appointment. We’ll have a board meeting tomorrow, and then Haldanes will either go into administration tomorrow or Wednesday. GS: So why did the stores close so soon? There are lots of examples where administrators are appointed and they try and sell the stores as a going concern. AH: The majority of the stores are in the landlordship of the Co-op. We’ve been taking advice throughout, and immediately an administrator actually takes his appointment he has to pay rent on the stores. So it was for the benefit of the creditors; it was easier for us to sell the stock through when we were still in control. The administrator would have had to have shut down the stores immediately, and lay the staff off, so it was purely for the benefit of the creditors that things stayed open. 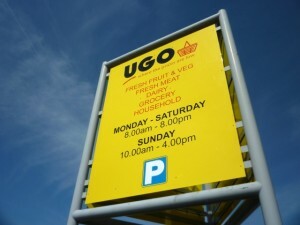 GS: What was the reason for Biddulph and Broxburn UGOs closing? Was it because they were still owned by Haldanes Stores? AH: Yes. They weren’t part of the UGO chain, they just happened to have a UGO fascia. They were owned by different companies. The same as now, we’ve still got Haldanes Xpress, with a Haldanes fascia on it down in Folkestone [at Stop 24 services], but it isn’t part of the Haldanes administration. GS: And what’s the deal in Crieff? I was reading about other businesses being locked out. AH: There are some sub-tenants in Crieff. 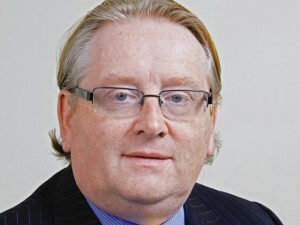 The MP for the area, a Mr Gordon Banks, his constituency office is a sub-tenant. There’s a couple of other small businesses, and they’re all up and running again. I spoke to Mr Banks personally and we got him sorted and up and running again. All sorted. 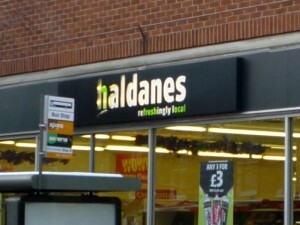 GS: There’s also been talk that four of the Haldanes stores might be bought by other retailers? AH: It’s three: Tattershall, Wigton and Crieff. We had interest in one other – Tranent – and the administrator thought he may have to keep it going to actually realise that interest. I’ve said I don’t want to keep it going because I can’t guarantee it’s a profitable store – it isn’t, it’s a lossmaking store – so he’s going to pursue other ways of doing that. As for the other three, the three at the moment are selling through any stock which is available from the other stores, it’s being brought to those three, and those three will probably be sold by the liquidator. At the end of the day, despite what’s written in the papers, we’re devastated with this. Absolutely. There’s no way I wanted to do this, and I’ve begged the Co-op to come to the table. And if we could have saved this… I’ve put £2m in, and I was quite prepared to write that off, if the Co-op would have met me and discussed a way forward. GS: And what can you say about people being paid? AH: Once you file this form for administration, everything stops effectively. Bank accounts stop; everything stops. You’re not allowed to pay people at that point. However, on the basis that we have stock to sell through, we have to stop people and then say to them “Look, would you mind working to help us sell the stock through for the benefit of the creditors.” At that point you can pay them. All the staff will get paid. We have paid them the portion from when we said we were filing the notice to them finishing last Tuesday. And that has all been paid. Every penny of that has been paid, as we said we would do. They will get paid the earlier bit, from the Government, and they will get their redundancies and everything else from the Government. GS: And the administration also covers Ruston Retail Limited. What does that do, or did? AH: It didn’t do anything at all. It just held leases on the second part of the deal with the Co-op. It didn’t trade, never traded, it just was a leaseholder. Noting the ongoing public dispute between Harris and The Co-operative Group over the 26 stores that Haldanes originally acquired from the Co-op, I asked him what the appointment of administrators would mean for this legal action. AH: I’m so incensed with it that, if the administrator decides not to take it on, I’ve asked if I can buy the case off the administrators, which I would do, and carry on the action against the Co-op. In response, I put it to Harris that one of the things that had made it difficult to report and to understand his dispute with the Co-op was the lack of information about what, exactly, the Co-op was supposed to have “breached”. I asked him, therefore, what, if anything, he was able to add. He, in turn, handed me a copy of the ‘Particulars of Claim’ that had been lodged with the High Court of Justice on 10 May (the day before his extraordinary press statement was released), detailing each of the specific “breaches” that Haldanes alleges were made. As you would expect, the document makes interesting reading, but, for obvious reasons, I’ve declined to reproduce any of those allegations here. When the appointment of administrators to Haldanes was announced, Arthur Harris was clear in pointing the blame, as he saw it, at the Co-op. He claimed that the Manchester-based business had “chosen to either ignore or refuse all of our requests to meet”, and that “this has left us with nowhere else to go.” I was keen, therefore, to quiz Harris on the wider issue of how the Haldanes business had been managed. AH: Listen, we’ve made mistakes. We would be stupid to say we haven’t made mistakes. A lot of people were saying that the mistakes were made in the early days. Actually, although I was involved, I was a Chairman. I’m not a retailer. Arthur Harris, per se, is not a retailer. I’m a creative dealmaker. I’ve done that for a number of large companies, and banks, over a long period of time. I was offered this deal, and then hence I offered a share in it to a retailer. However, it became very evident that mistakes were made in those early days with the people that we had, and so we had to have change. 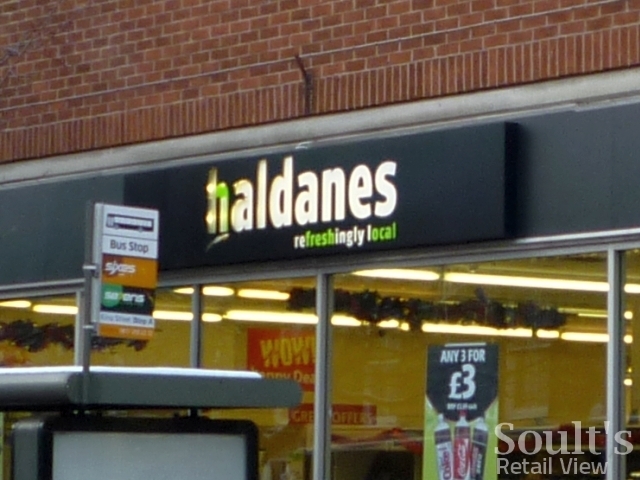 AH: One of the things that we got wrong with Haldanes, I think, was that the fascia that we put up as Haldanes was a bit upmarket for some of the areas that we were trading in. We thought that was a really good comment, at first; actually it turned out to be a horrendous comment, because I think the perception from the outside, before people even got in, was that it was going to be expensive. So that was one of the mistakes we made. 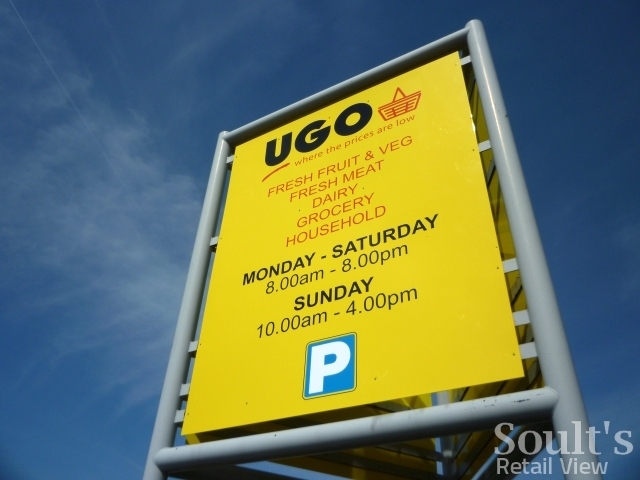 The plan was, if we could have got the Co-op to the table, was to convert quite a number of these stores into UGOs, and to give them a bit more chance. 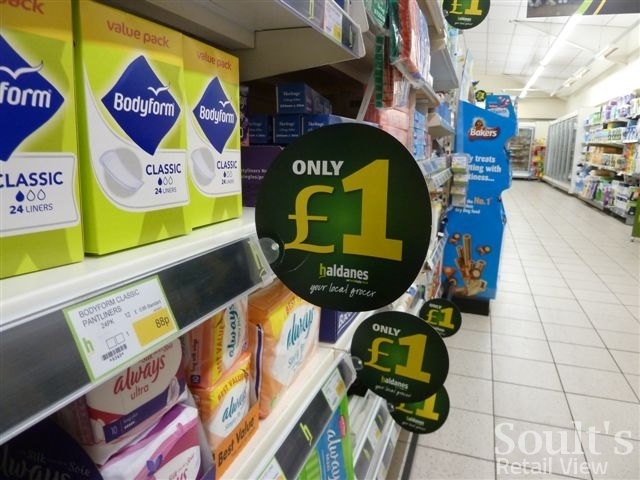 The whole Haldanes estate was losing about £100,000 a week, so we took the stores that were marginal to try to turn those round into profitable stores. And then we thought, as we get going, and we do deals with the Co-op, we always believed, and my lawyers always believed, that we would end up talking and doing a deal with the Co-op. So, the plan was that maybe we would have had to ditch one or two stores, but we would have converted some into UGO, and made them profitable stores. 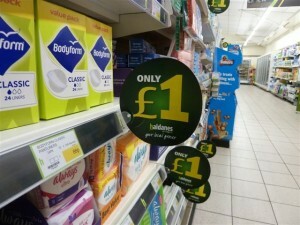 GS: And had those two stores that you converted, in Biddulph and Broxburn, seen an uplift? AH: Yes. Absolutely. If we could have done a deal we would have definitely saved the group. No question about it. “The Group regrets that Haldanes has taken the decision to seek an administration order. “Haldanes is substantially indebted to the Group due to its failure to pay rents owing to us. We have acted in good faith throughout our dealings with the business, including providing significant financial support during its start-up phase. Any legal action will be contested vigorously.